Q – I have recently added my Gmail account in Outlook application but it is not working. I need to fix this issue so that I can access my Gmail emails into Outlook. Can anyone provide me the solution to this problem? I read your query but can you please explain which error you are getting so that I can understand your problem and provide you solutions? I got this error, I am providing the image below. 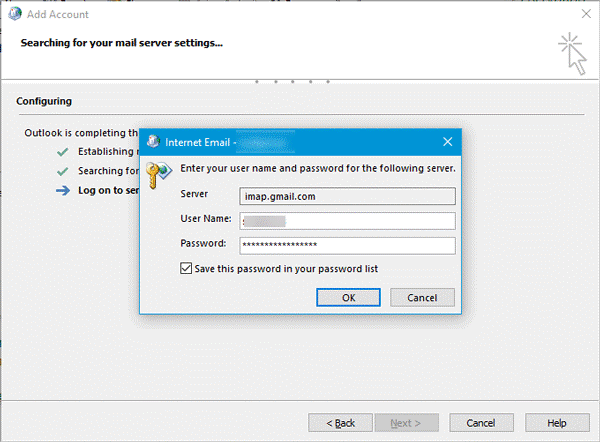 This issue occurs when IMAP is disabled in Gmail account. You need to enable IMAP. After that create an app password. Can you please tell what are the steps for app password creation?